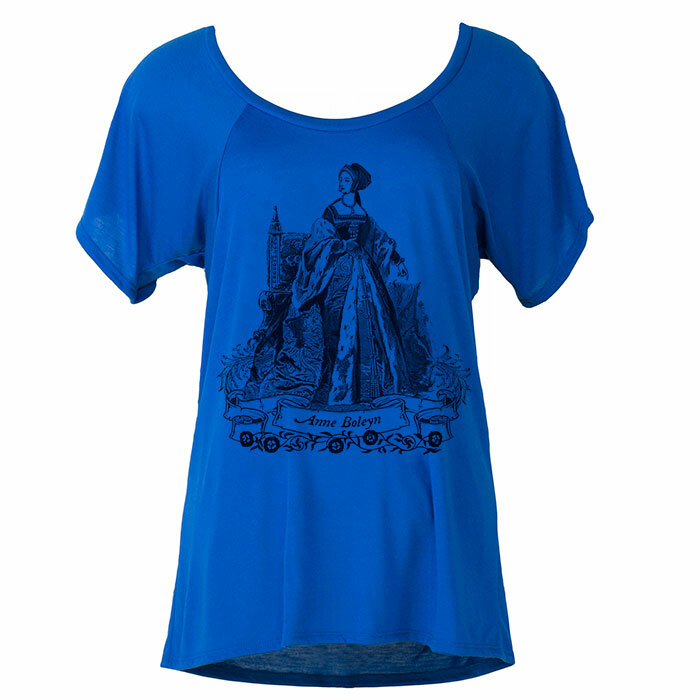 This T-shirt features a design by Tiffini based on a vintage engraving of Anne Boleyn. 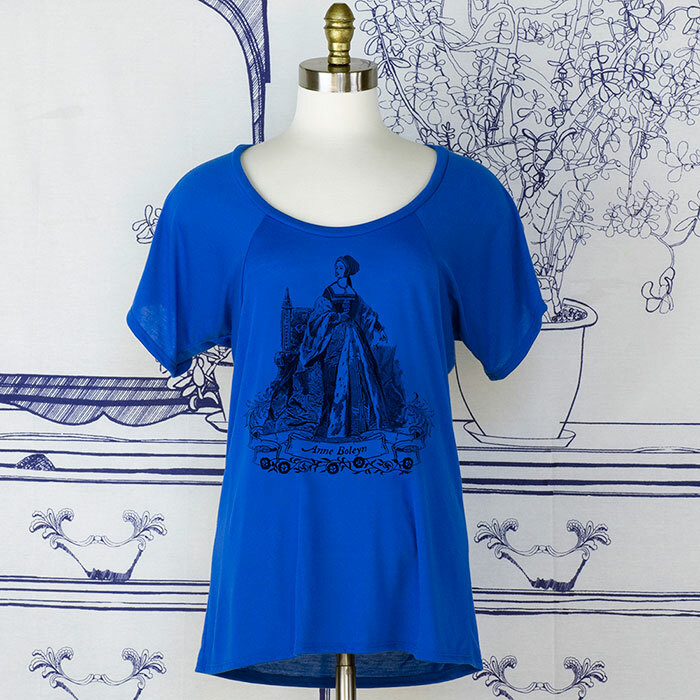 Design is printed in black ink on a flowy tee, viscose poly jersey knit shirt in elegant True Royal blue. Viscose Jersey is a silky combination of synthetic and natural yarns, resulting in a shirt that not only feels luxurious but has a lovely drape to it. Lightweight and luxurious side-seamed jersey tee that feels great wash after wash.
Raglan sleeves, flowy fit with a more refined low scoop neckline takes the beloved basic to another level. Flowy feminine fit with extra body length. Double-needle stitched hem. Fits true to size. Separate by color, machine wash cold or warm inside out, tumble dry low. Low shrinkage. Brand: Bella. Made in USA. Made by Tiffini in the USA and shipped worldwide.